With 20,000 tonnes of coffee consumed each year, the coffee shop sector is booming. 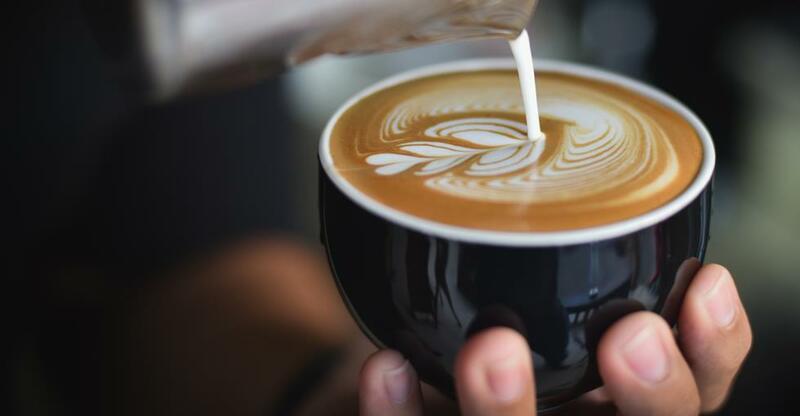 With the coffee shop industry booming in South Africa, it shouldn’t be too difficult to get a good price for a well-run establishment – if you follow these steps. There should be no shortage of interest in a well-run coffee shop for sale in South Africa. More than 100 roasteries now operate in the country compared to fewer than 20 just 10 years ago. Coffee is increasingly popular, with 20,000 tonnes of the stuff consumed each year. The coffee shop sector has grown more than 7% since 2014. It certainly can’t do any harm to point these facts out to buyers, even if they obviously already have at least some interest in the industry. Get your financial records up to date and in order with the help of your accountant, because prospective buyers will want to see financial statements and tax returns dating back three or four years. And in a business that still takes many cash transactions, it’s important to back up your accounts with a log of sales transactions extracted from your point-of-sale register. Also gather paperwork documenting your assets, lease terms, employee and supplier contracts and so on. Compile a list of equipment that's being sold with the business too. Photocopy all these documents multiple times and store them tidily in a folder so you can present serious buyers with everything they need at appropriate junctures. You could also present buyers with a summary of how the business works day to day. For instance, it might include pricing, opening times (and if you’ve ever changed them, what impact this had on trade), the profile of your typical customer, how many staff you have on shift at busy and quiet periods, and so forth. Naturally, the buyer will visit the premises at some point and first impressions count – so make sure the shop is clean and presentable and tired-looking equipment is replaced. It’s also worth seeking, as early as possible, the consent of your landlord (if it’s leasehold) to the transfer of the business and property lease, and that of your banks and finance providers for any equipment leases, bank loans and overdrafts. Coffee shops are often valued according to a multiplier of revenue plus inventory and property, or annual discretionary cash flow plus inventory and property. A coffee shop is more valuable if situated on a busy high street. Your asking price could also be inflated by any assets or services that give you a competitive edge over your local rivals. This could be anything from spacious, well equipped kitchen facilities and popular food menu, an outside seating area, retail coffee and tea sales as well as, of course, a reputation for top-class coffee. Advertising your business online gives you by far the most exposure. BusinessesForSale.com connects more than one million buyers and sellers every month. Here are some tips on completing your online advert. Your business broker might also be able to match your business with buyers in their own database. They can help you qualify buyers who have registered an interest too. Buyers must prove their financial ability to buy before you hand over any sensitive commercial information. Once you’ve qualified a buyer, you need to agree on a selling price and a way to structure the deal. If you agree to accept a portion of the asking price in instalments, then you’re justified in standing a little firmer behind your asking price if the buyer tries to negotiate it downwards. The buyer may request some financial information at this juncture and your broker – ideally one who specialises in selling cafes and coffee shops – can help you decide what to disclose and when and draw up a non-disclosure agreement. The terms of the provisional deal will be detailed in a document called the heads of terms or memorandum of sale. Speak to a solicitor before you sign these documents, even though they are non-binding at this stage. Once a provisional deal is agreed, the buyer will wish to undertake a more thorough examination of your business. Called due diligence, this phase involves a visit to your premises and access to more paperwork and sensitive commercial information. Based on the heads of terms the sale agreement is a more extensive and, this time, binding document. It’s imperative that, with the help of your advisers, you fully understand the warranties and indemnities included in the agreement. Even after the sale goes through, the buyer can make financial claims against you if any warranties – statements you’ve committed to that state facts about the business – or indemnities – promises to compensate the buyer’s losses should specific events occur – are breached. To protect yourself against unreasonable claims, your solicitor can draw you up a disclosure letter specifying exemptions and qualifications to the warranties and indemnities. Once the sales agreement is signed by both parties, ownership of the business effectively transfers and keys to the premises, codes for security systems and other paraphernalia can be handed over. Find out everything you need to know about selling a business! Are you considering buying a coffee shop in South Africa? This is what it really takes to make a success out of this constantly evolving industry. The coffee industry is thriving in South Africa and a great way to get involved is to buy a coffee shop.